With the year coming to an end, something I’m sure many people are thankful for, it’s time to once again hand out the now annual Comic Gamers Assemble Game of the Year awards. Of course no awards are actually being handed out, nor will most of the recipients even read this I’m convinced, but nonetheless I’m honouring what was a pretty great year for comic book video games, both in releases and announcements, as well as sadly eulogizing some games and developers who we lost throughout the year. Like last year’s awards, 2016’s Game of the Year awards will be all done in one feature, and mix in both serious categories (best game, developer, etc) with some humourous awards similar to how publications like EGM did once upon a time. Rumoured in late 2015 through some leaks and officially unveiled in 2016, Teenage Mutant Ninja Turtles: Mutants in Manhattan, the first ever Platinium Games developed TMNT game should’ve been a sure thing. While the studio stumbled with their first licensed game, the downloadable only The Legend of Korra, their second licesned project, Transformers: Devastation, was an excellent mixture of Platinum’s trademark combat with gorgeous cel-shaded graphics and a respect for the popular franchise. 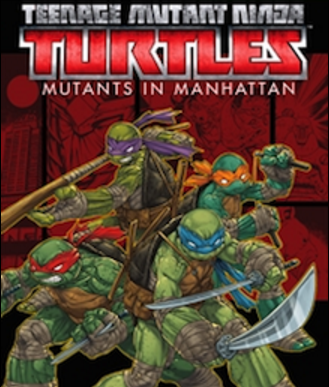 If Mutants in Manhattan was simply a Bayonetta game with a TMNT skin, which is exactly what Transformers was, no one I’m sure would’ve cared, but the fact that many people probably forget that there was a new Teenage Mutant Ninja Turtles game that came out this tells you exactly what type of impact this game had. Many, including myself, hoped that Platinum would bring the heroes in a half-shell back to their early Konami days, but instead we got another rushed out the door Activision licensed cash-in. Mutants in Manhattan doesn’t even have the deep combat mechanics that nearly ever Platinum developed game has, and when you couple that with a disjointed narrative, repetitive levels and environments, a short campaign and no local co-cop to speak of, you have what is easily one of the most disappointing should have been great games of 2016. At San Diego Comic-Con this year, it was not only announced that both Marvel Ultimate Alliance and its sequel were coming to the current generation of consoles, but that it would be coming the Tuesday after the conclusion of the show no less. Though the games carried a high price tag, $39.99 for each game or $59.99 as a bundle, it was still fantastic news that both of these beloved games were making a comeback and perhaps that by fans voting with their dollars, a Marvel Ultimate Alliance 3 could happen. All that good will and excitement however was met with frustration and disappointment once the games actually launched. The characters that were released digitally that were pulled from online stores or found only on the pricey Gold Edition exclusive to the Xbox 360, were nowhere to be found on any version, despite being promised in the Xbox One splash page, and no achievements were available when the game launched on Microsoft’s console. Like the 2015 debacle that was the Batman: Arkham Knight PC launch, non-console players got the worst of it when the games were launched with numerous bugs and no controller support on PC. These issues have since been fixed thanks to patches and free DLC, which proves that Marvel was listening to fan out cry over how some of their favourite games were being treated. But with an industry that moves as fast as the video game one does, all it can take is a bad launch to turn players away, as evidenced no better than with this year’s No Man’s Sky. Looking for that last-minute Christmas gift for that person in your life who loves video games and comic book characters? 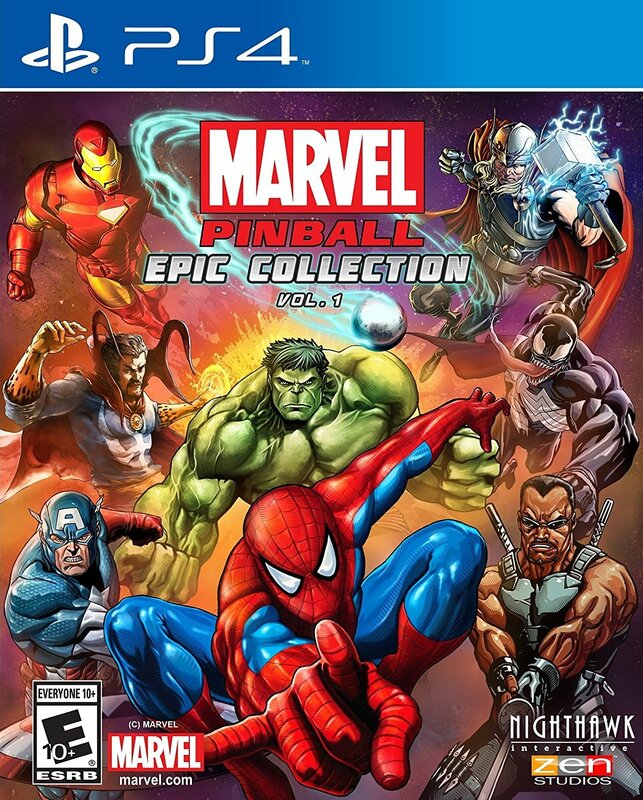 You might want to consider snagging a copy of Marvel Pinball: Epic Collection Vol 1.. At a low price of $29.99 ($39.99 in Canada) you get ten pinball tables starring Marvel characters that will keep you keep you coming back over and over and saying “just one more game”. I’m not getting paid to say this at all, I just strongly feel that at a low price and near infinite replay value, you really can’t go wrong with ten pinball games starring characters like Spider-Man, the Avengers, Venom and Hulk at a pretty low asking price. After games like Iron Man 2, Thor: God of Thunder, X-Men Destiny, The Amazing Spider-Man 2 and the cancellation of the THQ developed Avengers first-person action game among others, you wouldn’t blame Marvel from staying away from the console space, coupling that with the great success they found in the free-to-play and mobile market. Those who would rather to play a Marvel game on a dedicated console or dreamed of seeing a Marvel game that would rival the Arkham franchise were looking more like dreamers every day, that is until 2016 happened. Starting off the year with the excellent Lego Marvel’s the Avengers which was supported for months after release with both cheap and free DLC, Marvel followed this up the criminally underrated Marvel Battlegrounds play set in Disney Infinity 3.0 which scratched the Power Stone inch many have had since the Dreamcast stopped production. Continuing Marvel’s comeback came E3 where during the Sony press conference it was revealed officially that Insomniac Games, those behind Ratchet and Clank, Resistance and Sunset Overdrive, are making an exclusive Spider-Man game with the backing of Sony for the PlayStation 4. 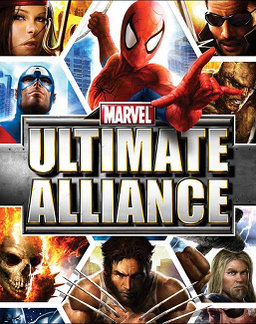 After E3 there was San Diego Comic-Con where the Marvel Ultimate Alliance series were resurrected for the PS4, Xbox One as well as PC, albeit in a rocky launch that was quickly fixed. Marvel closed the year in a big way during the 2016 Game Awards where Telltale revealed their first Marvel project: an episodic series based on Guardians of the Galaxy. This was followed mere days later at Sony’s PlayStation experience event where not only was the fourth entry in the Marvel Vs. Capcom series, Marvel Vs. Capcom: Infinite, shown off for the first time, but Ultimate Marvel Vs. Capcom 3 was shadow dropped on PlayStation 4 with an Xbox One and PC release to follow later. If this is a but a sampling of what Marvel has up their proverbial sleeve, I can’t wait to see what 2017 and beyond has in store for the future of Marvel properties on consoles. Among all the game released and those what will eventually come in the future, we sadly must also look back at those we lost in 2016. In May Disney shut down the Disney Infinity toys-to-life game, which was their only internally developed video game, instead choosing to focus on licensing their brands and properties to outside developers. This not only meant that we would never see figures and play sets based on Doctor Strange, Spider-Gwen, Guardians of the Galaxy Vol.2, Thor: Ragnarok and Moana, but that those at Avalanche Software who were the champions of Disney Infinity now found themselves out of work. The closure of the toys-to-life game also affected one of the partners on the project, United Front Games who developed the Marvel Battlegrounds play set, who also closed a few months later. The game that started Marvel’s free-to-play series, even introducing the item that they would charge for, Marvel Avengers Alliance as well as its just released sequel were shut down, bringing with it more lost jobs and game makers who had to look for a new home. Though these closures have now happened months ago at this point, I still would like to extend my condolences too all those affected and wish them the best of luck. I’m well aware that “Game of the Year” should be about the games themselves, but this year I wanted to show my respect to two entities that do more for the medium of video games than someone like I could even come close to and reinvented themselves in 2016. The first of the two award winners I wanted to spotlight is Victor Lucas, the creator and host of Electric Playground for over two decades. In late 2015, the TV partnership Lucas had ended meaning that his program, Electric Playground, in at least its original incarnation had to end, but in its stead came something else. Having to essentially relearn the medium he helped shape, Victor Lucas kept making content for Electric Playground through daily run downs on YouTube (essentially short videos that sum up a days worth of pop culture news), podcast interviews, recorded interviews, Twitch streams and even live reviews. This was all done with Lucas more or less having to do all the heavy lifting himself without the help of co-reviewers or other segment stars. You can subscribe to Electric Playground and see what I’m talking about HERE. The other entity I want to talk about is Easy Allies, or what was once Gametrailers.com. The company that owned Gametrailers, Defy Media, closed it in February of this year, leaving co-creator and EIC Brandon Jones as well as his staff without a platform in which to continue to create new videos and content. A little over a month later, Brandon Jones as well as a lot of ex-Gametrailers staff reformed as Easy Allies, picking up where they left off with support from patrons via the patreon.com platform to a tune of about anywhere from $37,000-$39,000 or so a month. You can watch the Easy Allies reviews, shows and podcasts HERE, check out their twitch stream archives HERE and if you feel so inclined, support them on Patreon HERE. A “shadow drop” refers to when a game is announced and then released right away or in a very short window of time. 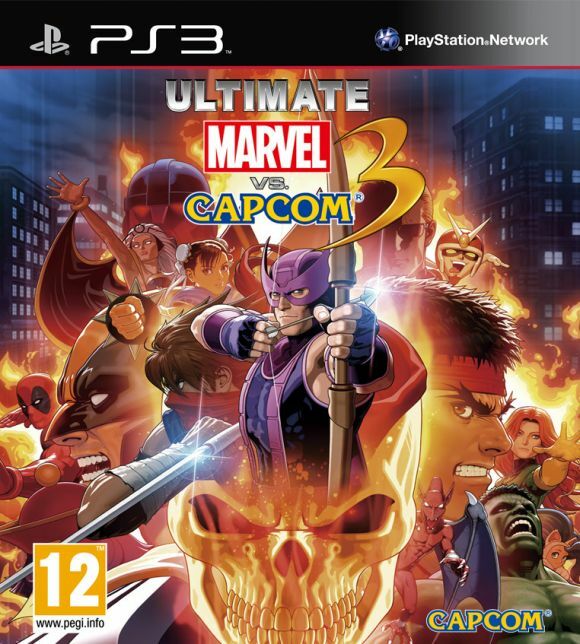 2016 had two major shadow drops: the Marvel Ultimate Alliance bundle which was revealed on a weekend and then released a few days later and Ultimate Marvel Vs. Capcom 3. Of the two, the clear winner for best shadow drop is the remaster for UMVC3 for a number of reasons. First of all, it was simultaneously unveiled and released in the same day; it arrived in a much stabler state than the Marvel Ultimate Alliance bundle and lastly no one thought something like this would ever happen. Before the shadow drop of UMVC3 and Marvel Vs. Capcom: Infinite, many had thought that we would never see anything in this universe again but now at least PlayStation 4 owners, and other platform holders soon enough, can play the last MvC game while they wait for the new one. You could say this game wins by default as there was no competition, but to say this was a simple win by default game would be doing this game a disservice. 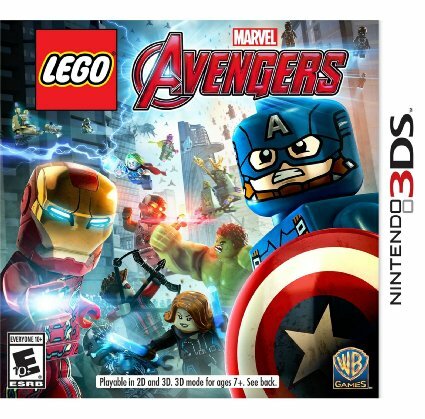 The handheld Lego games have been on the upswing after the not so great Lego Marvel Super Heroes: Universe in Peril and this is the game that came closest to capturing the console experience on a handheld. The levels are themed much the same as the console game of the same name, but different enough that you can experience both this and its console counterpart without feeling fatigued. This is the first handheld Lego game to feature an exploitable open world, and while navigating it can be tricky and it isn’t as robust as what you would get on even a Wii U, it’s still fun to collect gold bricks and complete side quests like it is in the most recent Lego games. Given that the Nintendo Switch will eliminate the need for dedicated 3DS games going forward, this is a pretty fantastic high note to go out on. I’ve been critical in the past of Telltale over how you can barely call their output games, but this year the developer really showed exactly how powerful their chosen format can be. After a somewhat disappointing second season of The Walking Dead, I was pulled right back into the universe with the three-part Michonne mini-series at the start of the year that showed off how with brilliant choreography, you can make a player feel like they’re just as much in control despite having at times very little. 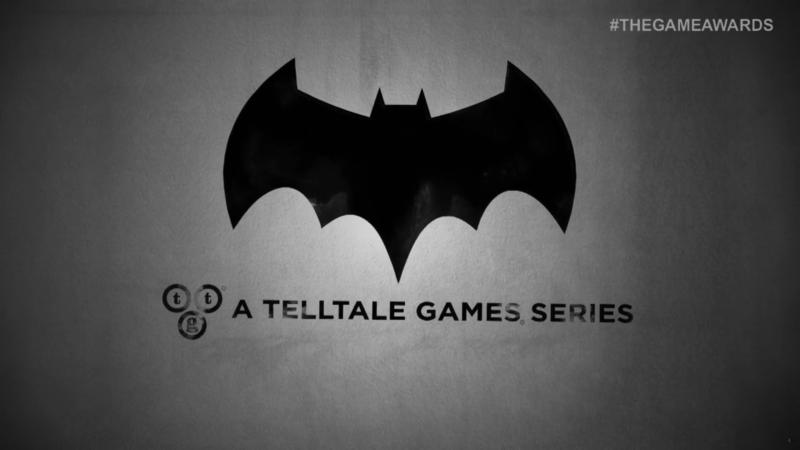 The biggest surprise from the company however came from an original series that started this year, Batman: The Telltale Series, a series that I was personally a little worried about but quickly changed my tune the second I played the first episode. With a new season of The Walking Dead starting and Guardians of the Galaxy coming in 2017, Telltale is doing right by comic book properties. I feel we’re at peak saturation in Batman right now between the amount of comics, animated and live action features as well as video games the character is in. What can they do with Batman that they haven’t done either in a movie or in an Arkham game? Why can’t another DC hero get their own video game? These are questions I asked when Batman: The Telltale Series was announced that I quickly forgot once I played through the five chapter series. The series is certainly not without its faults, but the things that Telltale does with both Batman, and more so Bruce Wayne, feel new and earned in a world with no shortage of Batman media to either consume, watch, or play. Not only was I surprised how much I loved Batman: The Telltale Series, but I can’t wait to see where they go next with it. When it was released in January, a lot of reviews seemed to be down on Lego Marvel’s the Avengers which I found to be rather harsh. It did stick to the tried and true Lego formula, which all Lego games do, and was a little similar at times to Lego Marvel Super Heroes. However it also marked the first time that anyone got to play through the events of The Avengers as well as its sequel, and while they’re tongue-in-cheek and played for laughs, the sequences are nonetheless goose bump inducing and extremely authentic to the source material. 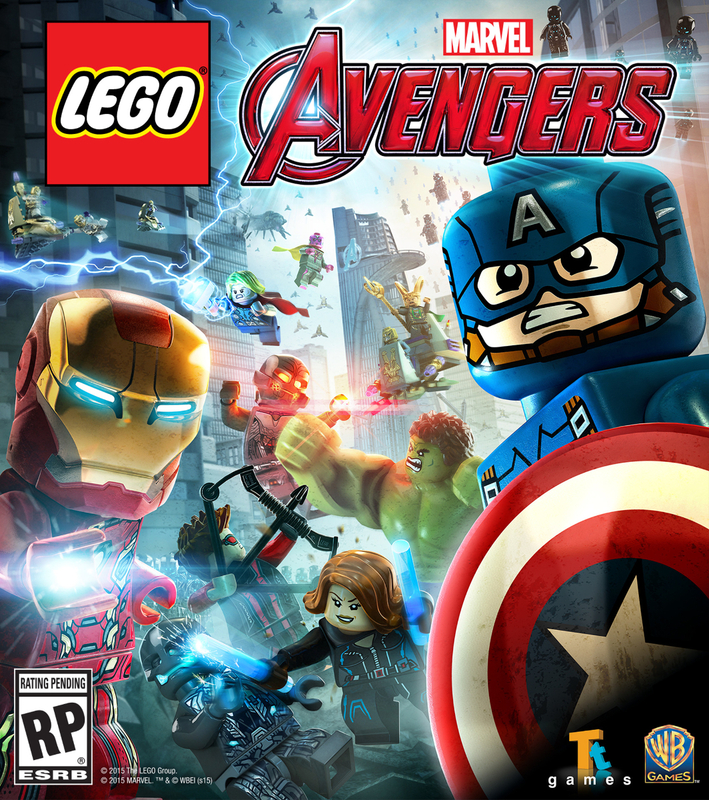 Expanding on what made Lego Marvel Super Heroes great, there’s plenty of post game content including multiple open world areas to explore, DLC story chapters and free characters like a Spider-Man pack that features Captain America: Civil War Spider-Man and you’ve got a game that yes, while familiar, is also a lot of fun. So there you have it, the award winners, and I guess in some case losers, of 2016. I once again would like to give a huge thanks to everyone who stopped by, read an article, commented, like, shared, the whole nine yards. Everything produced here is a labour of love and during days when I feel like it’s not worth continuing preaching about comic book games, seeing likes, comments and views goes a long way to keeping the passion alive. I’d also like to take the opportunity to wish everyone a happy, or merry….whatever. I don’t want to get political, which is kinda terrible when you stop and think about how I had to say that just now, but simply just take this season and reach out to loved ones, whether that be friends, family, or both and just spend time with them. If you’re visiting here, you probably like video games an awful lot, but remember to put down your controller, handheld, or mobile device and appreciate those around you. Those presents under the tree may offer a temporary high as you tear them open and uncover the goodies inside, but this season should be less the money you give to a store and more about the time you give to the loved ones you surround yourself with. As someone who doesn’t get a lot of time off from work this time of year, and has people in their lives who are in a similar situation, you realize that time is a much more precious gift than any present. 2016 has not been kind to the world as a whole, but that doesn’t mean we should stop caring and keep doing good in the face of overwhelming negativity.